Opened in 2012. Newly renovated in 2016. The Kailaixi Hotel (Hubei Yellow Crane Tower Hubu Lane) is a great choice for guests looking for accommodation in Wuhan, having been recently renovated in 2016. With Free in-room Wi-Fi available, you'll have no problems keeping connected. The hotel is only 4km from Wuchang Railway Station and 34km from Tianhe International Airport, giving guests a number of convenient transportation options. Sightseeing in the area is easy, with Yellow Crane Tower and Hubu Alley both nearby. This hotel makes a great place to kick back and relax after a long day of sightseeing. 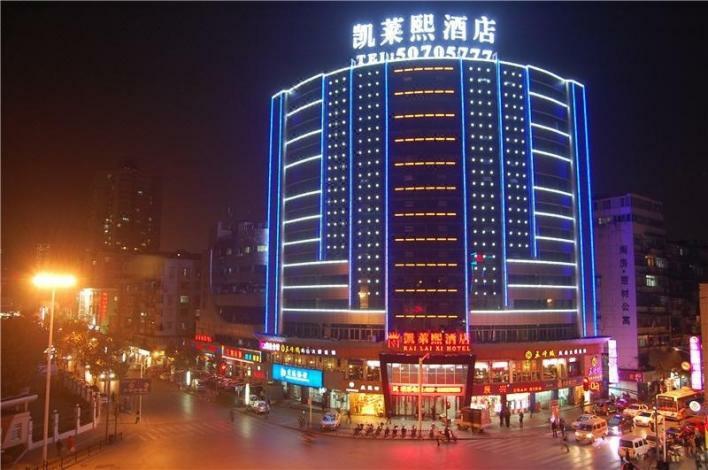 This Wuhan hotel features parking on site. If you demand a high level of service, our guests have indicated that this hotel has excellent standards. For guests traveling with families, this hotel is consistently one of the most popular choices.